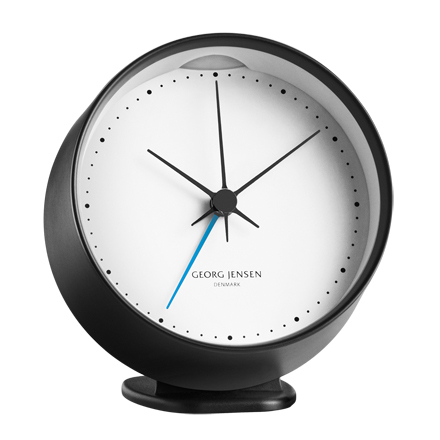 black clock with white dial. light switch/snooze button on top. 10cm diameter; matte stainless steel and ABS plastic. back stand can be detached and replaced seperately. Clock can be hung on wall.